OMAHA, Neb. 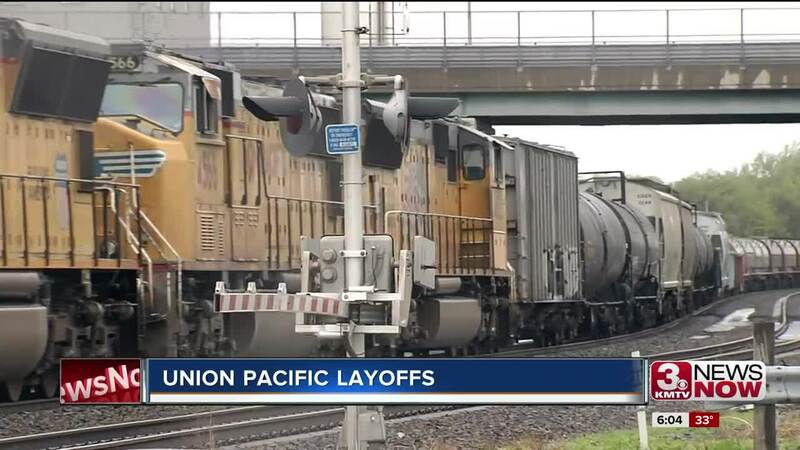 (KMTV) — Union Pacific has laid off more than about 1,200 employees across the country since 2017. It's unclear how many were laid off in Omaha, but most of the 250 that were fired Tuesday live in the metro. Former employee Malcolm Smith got his first job at Union Pacific after graduating from Iowa State in 2016. He was let go last October when the company cut about 500 jobs. Union Pacific has not fired employees because of lost profits, it's still been profiting. "Everything's on the table, no one's safe," Smith said. For the past four months, Smith has sat at the table inside his one-bedroom apartment searching for his next job. He's living out his rent in Omaha before he moves back to Chicago. "There's no hard feelings," Smith said. "It was a great experience. I met a ton of people and mentors, but I do believe that greed took over." After a vacation in St. Louis last October, Smith was called into an office at work. "It happened in the morning and they said that with the new Union Pacific 2020 vision, we're laying off people." "It was shocking because there was speculation it would happen sometime soon, but I didn't think it was going to happen that day." In a statement, the company wrote its Unified Plan 2020 is helping the company boost efficiency and productivity to better compete in the market. A university professor at Nebraska-Omaha believes Union Pacific is keeping a sharp eye on its competitors. "Given all of this, they're trying to please Wall Street and I don't blame them for that," Dr. Phani Tej Adidam said. Dr. Adidam is an executive management education professor at UNO's College of Business Administration. He says Union Pacific must keep up with advancing technology, transportation and logistics over the next decade. "My sympathies lay with the families that have lost their jobs, but the silver lining is we're in a good economic situation right now," Dr Adidam said. "Those families will find jobs." Dr. Adidam said he has former students who worked at Union Pacific that were let go over the past few years. Former employees like Malcolm Smith are looking ahead to the next few years. "It is a relief and a little frustrating because you relocate your life to a city," Smith said. "But it is a relief that I get to go home." Smith is hoping he lands a job with the Peace Corps that he's applied to. Dr. Adidam expects more layoffs as automation continues to impact corporations.